I made the Greens ahead by 30077-29886 across all candidates in local elections – so 191 votes, or about 0.2%, also known as a virtual tie. Didn’t check the leading candidates but Funtypippin’s figures look right – either way, any suggestion that the Greens stormed the locals is wrong. That said I disagree that this is a 4-way race or that voters don’t know who they are choosing between. Labour and Greens are a good way ahead of the rest in both the 2015 results and locals. They will also both be hammering this seat, whilst I can’t see the LDs or Tories wasting too many resources here. I think it will be widely understood to be a Lab-Grn race and their combined share should rise slightly. In that case, as someone else said, the 34% con / ld vote becomes fertile squeeze territory. This presents an interesting challenge to Labour – I suspect Thangam Debonnaire’s anti-Corbyn qualities will play well with tactical voters, but if they big those up too much they risk losing Corbynistas directly to the Green column. On the other hand, Scott Cato might be a better choice for the Greens than I first thought. She has serious economic credentials and appears to be more Green than Watermelon, which should play well with the natural Tory / LD voters. I’m still leaning towards a narrow Labour hold, but I think this seat is very volatile as many people won’t have a strong preference between the two frontrunners. I don’t think Thangam is particularly hostile to Corbyn – she’s in the group that agrees with most of what he says but just thinks he’s a pretty weak leader. I don’t know what you do if you’re a Tory voter in this seat. To be honest, you probably just vote Tory as there isn’t that much difference between the two frontrunners. My gut instinct is that Thangham Debbonaire will be re-elected but I wouldn’t rule out a ‘surprise’ Green gain. Tory voters are not going to back the Greens (or Labour) regardless and their vote share will likely increase as the Lib Dem tactical vote unwinds. 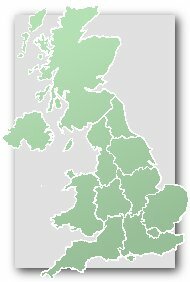 As for the remaining Lib Dem vote in this seat (their base) I would have thought it would be more likely to back Debbonaire than the Scott-Cato (who comes from the radical wing of the Green Party unlike their previous candidate Hall who came from the more moderate wing) if they decide to vote tactically. This. I voted Lib Dem tactically last time but now I’ll vote Tory even though their chances of winning are slim to none. In a preference style system I would put Debbonaire above the ‘smash the economy to fix it’ Scott-Cato but I don’t agree with her anywhere near enough to vote for her in a first past the post system especially because the Labour Party is lead by comrade Corbyn. Most Tory voters in this seat will feel exactly the same. An added complication is that the Tory vote here is probably quite remain-friendly, LD-friendly, and already in the habit voting tactically for the LDs. If the LDs had clung on to second or even a close third then they would have a great chance here. But at 8 points ahead the Greens have probably become the presumed opposition which dooms the LDs and actually my money would be on the Tories coming third (low confidence, of course). Well yes if they had held onto second they might well have been able to hold onto the Tory tacticals but as it is they crashed into a poor third a few points ahead of the Tories who were being squeezed. Their local councillor base once completely dominant has been reduced to a mere 2 who survived only because of strong personal votes. I doubt they’ll pour in much resources anyway as there are far more promising targets nearby and this is obviously being targeted by the Lib Dems new found ally the Greens. Thus my prediction is the Lib Dems will lose vote share and come forth due to Tory tactical voters abandoning them for the Tories and Labour/Greens squeezing their base vote. I’m happy to hold my hands up if I’m wrong but I can’t at the moment see this being anything other than a far worse Lib Dem performance than average. Pepperminttea’s comments passed mine in cyberspace, but I think we are more or less saying the same thing. Funnily enough there are comments on the Brighton Pavilion thread suggesting the LDs standing aside here would be a dream for the Greens, but I’m not sure it would – the majority of Green-friendly LDs have surely already moved in 2015, and I suspect what’s left is a mix of genuine LDs and some Tory tacticals, who would be as likely to go for Debonnaire as Scott Cato. Probably the easiest path to victory for Greens is directly converting 2015 labour voters. In the longer term the LDs will be the main challenger to Labour in this seat but this election Greens complicate things. Bristol West is so diverse but the entire south and west of the city is undoubtedly becoming increasingly affluent which will make it difficult for Labour in the decades ahead. None the less if Labour lose this i will eat my shoes. That’s not true at all. Bristol West is much poorer than it once was and has if anything ‘de-gentrified’. This is because the huge family houses in Clifton, Redland, Cotham etc. once to Bristol’s elite upper middle and upper class have been broken up into flats and are houses of multiple occupancy. If Bristol West was as wealthy as it was in it’s heyday it would still be a unassailable Tory fortress but it became poorer (despite still looking ‘nice’) and thus more Labour.The wealthiest parts of Bristol (Stoke Bishop) are found in North West nowadays. The only gentrification there has been (to contrast with the ‘de-gentrification’ in much of the rest of the constituency) is the likes of St Pauls have gone from ‘poverty stricken inner city’ to ‘poor hipster’ while the deprived parts to the east of the city centre are not gentrifying at all. As for the Lib Dems I think they are a busted flush in Bristol West. They are nowhere with the hipsters, nowhere with students, nowhere in the council estates and only get a bit of support from the liberal middle classes and thus won’t be able to become competitive enough to get Tory tacticals (which is the key to a Lib Dem victory). Long term IMO this will turn into another Brighton Pavilion i.e. Green vs. Lab, Lib Dems nowhere with the Tories mopping up the rest. Exactly this. If the Lib Dems did not stand the Tories would be shoved easily over 20% while the rest of the Lib Dem vote would split between Labour, Green and abstain and probably not in a way that is helpful to the Greens. There seems to be a serious delusion on the Green side that just because they might heavily prefer the Lib Dems to the Tories doesn’t mean it works the other way round. Without the conflict of the Mayoral elections, I think Stephen Williams would have been a good bet to regain his seat, but without him as candidate, it will be a struggle for the Lib Dems. With Corbyn’s Labour supporting the Tories on Brexit, it is easy to see Remainers gravitating behind the candidate most likely to defeat Corbyn’s candidate. If there are UK level behind the scenes seat negotiations going on between the Lib Dems and Greens, a Lib Dem withdrawal here would be the only tangible gift the Lib Dems could offer. If that happens, the Greens will walk it here. I don’t know whether any of the people suggesting this are affiliated with the Green Party. But I think it would be a waste of time – it won’t help the Greens much and, despite our gloomy forecasts, it’s a bit much to expect the LDs to stand aside in a seat they held 2 years ago. Come to think of it I’m struggling to think of a single seat where the Greens have much to gain from Labour / LD standing aside. Almost every other seat they are challenging in is a huge Labour majority with the LDs already destroyed, the only way to make progress there is to directly steal votes from Labour. The Greens came second here from nothing in 2010. I think that they might gain it this time around. Not true at all if the Lib Dems didn’t stand their vote would split in multiple directions. A significant chunk would go to the Tories, some just wouldn’t vote while the rest would split between Green and Labour probably favouring Labour seen as the Labour MP is inoffensive and the Green candidate is hard left. So no a Lib Dem withdrawal would not let the Greens ‘walk it’ if anything it would improve Labour’s chances of holding on. Additionally the Greens were running with the former candidate for this seat, so he should have had name recognition, albeit less than Williams! On that WoE mayoral election – since this seems as appropriate a place as any to discuss it – does anyone else think the Tory winner might have benefitted from the specifics of the voting system? As I understand it the optional second place vote was only for one candidate, i.e. it wasn’t full AV where you can list all candidates in order of preference. Of the 109,490 votes knocked out, 16504 gave a second preference to Con and 22296 to Lab, giving Con a margin of 4377 votes. 71690 votes were not reallocated! Obviously a few idiots will have failed to pick a second choice, but I suspect the majority of these votes will have been LD, Grn and Ind votes swapping second votes between them, effectively disenfranchising those voters. Actually I think this is a stupid system. It’s not a genuine run-off (a la France) nor is it genuine AV. Under either of those alternatives I think we would have seen a different result here (and under AV, the LDs might even have won). Seems like a pretty loaded comment Robber. Pretty sure Greens wouldn’t have won under any system so any suggestion I’m whining about the result is misplaced. I simply haven’t come across the system before and it struck me that it had delivered a pretty surprising result, hence delving into the figures. And I think it’s rather interesting that the three most obvious alternatives (FPTP, run-off and AV) might well have given three different winners. In addition to a dodgy showing in the Mayoral here, Greens have been shedding council seats to Labour in Oxford and Norwich. Together it adds up to pretty convincing evidence that Corbyn is eating into the urban Green vote. Suddenly this seat looks more secure for Labour, and Brighton Pavilion may not be totally safe. Surely that can only work on the small proportion of Corbyn supporters who aren’t utterly convinced he’ll win. Surely the greens will need a lot of non-corbynista votes to win this constituency though. Funty: I credit Corbyn supporters with a little bit more intelligence than that. Sure there will be some buried so deep inside their own echo chambers that they can’t – or, let’s be honest, wilfully refuse to – see the Tory earthquake coming. But plenty must realise that the writing’s on the wall. According to the bookies, Greens are favorites for this seat. I rather think Caroline needs some company in the HoC.. Lab at 7/4 is excellent value. LD at 11/4 is awful, especially considering the Lib Dems’ underperformance in the Bristol & Somerset mayoral race. Where (and when) are those from? They look similar to Paddy Power’s opening odds (which went out in a Green Press release), once money started going down they were corrected within a day or two. Similar story on Bet fair exchange. Odds Checker predicts a Labour Hold but Iain Dale predicts a Green Gain. It’s BET365 that has Greens as favs. Although Oddchecker has Labour as the favourites it has the Greens ahead and the Conservatives neck and neck with Labour on the most popular bets. This means that the punters believe that the odds underestimate the Greens and the Conservatives chances. This all comes down to what happens to the Libdem vote. I think Labour will have a similar share to last time, with the Greens and Libdems fighting for that young, strongly anti-brexit vote. On the Libdem side, they have a former (recent) MP standing, who will be known to much of the electorate. On the Greens side, they have become the main challenger, and their performance will probably prize a few tactical votes from the libdems (especially as they very probably lost some the other way last time). I think more votes will do Libdem to Green than the other way around. Close, but I suspect Labour will edge it by less than 5%. 7/4 looks like a reasonable bet, though. Also – even though the greens are in with a clear chance here, we may also leak a few pro-corbyn votes. Green results for 2017: win Brighton P, narrowly lose here, good losing performance in IOW, and very little else to shout about. That is the informal message I am hearing from Green activists in Sheffield Central. Yet to get to attend a hustings so don’t know how Natalie is promoting her pitch in person. Conservatives underestimated you say?? In Bristol West? I suppose this seat has a century of Conservative tradition prior to 1997 when even then they list it only v narrowly, but. . .
Leave voters more motivated to turn out in larger numbers. Faintly possible I suppose. But given that this last point would benefit Cons in seats all over the country, you’d probably be looking at a big landslide nationally if they were to take this seat. Does anyone who knows the area have an idea about how prominent/liked Molly S-C has been in the area? I know that MEPs don’t always get great recognition value, and I’m not sure if her chances are boosted at all by that? If final polls show Labour within 5 points of the conservatives, they will probably get a boost in seats like this – maybe even extend their majority. As ever I qualify that with the fact that the huge Green campaign here makes this race unusual and unpredictable. Interestingly the Greens have just transferred at least one of their Bristol West ward organisers to the Isle of White which seems like a sign of shifting priorities. Whether that’s because of weak canvass returns in BW or strong ones in IOW I can’t say for sure although I’d think that the former was more likely. Probably both, I imagine, and neither really to do with the Green campaigns. Corbyn’s current momentum will be very good for the Labour incumbent in hipster BW. Meanwhile in retirement-heavy IOW the conservative incumbent suddenly has been hit by the social care fiasco. That said, personally I’d only bother transferring resources if I felt IOW was a better chance of a win. If the Greens actually think IOW is now a better chance, well, that would be an extraordinary assessment to make. WELLYTAB – I suspect that there are enough senior Greens on the ground in Bristol, and so one organiser won’t be the biggest loss. I suspect it’s partly down to that person’s preferences, and partly indicates some new confidence in IOW, but I wouldn’t read it to mean anything about Bristol W.
Yougov’s big predictor (with about 80 voters polled per constituency, on average) has the Greens a distant 4th here. It does a good job of picking up local trends elsewhere (Green still score very high in Brighton, and the Independent in East Devon is forecast to win) so I suspect that forecast may be somewhat accurate, although as a Green I hope it isn’t! They also have Greens third to Labour in IOW, albeit on a higher vote share than they are here. National trends overwhelming the local green strength in both locations? More likely YouGov is just off, though a third place finish wouldn’t boggle the mind here; I would be surprised by fourth. The YG model should be taken with a pinch of salt generally, and certainly in Bristol West which is an edge case – at this point I would be very surprised if the Greens weren’t second here. Tories could potentially pip Stephen Williams to 3rd (they’re spending enough on Facebook ads that they must be hoping to do better than 4th place). This was a stunning result for Labour.. The Greens were pushed into third. Colour me surprised – Tories in second and one of the largest post-ww2 majorities of any MP for Thangam Debbonaire. Phenomenal result for her. The stunning result is that the Greens weren’t in fourth place, tbh. Golly (at the scale, not the result which I never thought would be in doubt). There will be lots of research done into why Corbyn’s Labour proved so popular with young people. I expect a lot of it stems from the fact that over the past few years apathy (‘they’re all the same’), interrupted by mobilisation on a few issues (Iraq, tuition fees) seems to have been displaced by anger at the general direction of politics (Tory government, Brexit). Corbyn harnessed that and presented himself as offering a way for young people to get their own back.